Palm Harbor, FL Family Law Attorney | Divorce Attorney | Wendi L. Hall-Gonzales, P.A. 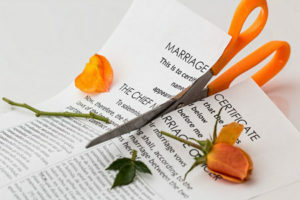 If you are thinking of filing for divorce but are unsure of what steps you should take, join us for our FREE bi-monthly Preparing for Divorce Seminar. This seminar will include a discussion on the process of divorce, alimony, child support, parenting plans and time-sharing arrangements, as well as division of marital assets and debts. Wendi L. Hall-Gonzales, Esquire, is an experienced family law and divorce attorney with over 25 years experience serving clients in Pinellas, Pasco, Hillsborough and Hernando Counties. Seminars are held twice a month on Tuesday evenings at 7 p.m. in either Palm Harbor or Land O’ Lakes. Please call (727) 781-8803 to reserve your seat! *This seminar is intended to address general information regarding the divorce process. Case specific questions should be addressed at a private consultation with the attorney.